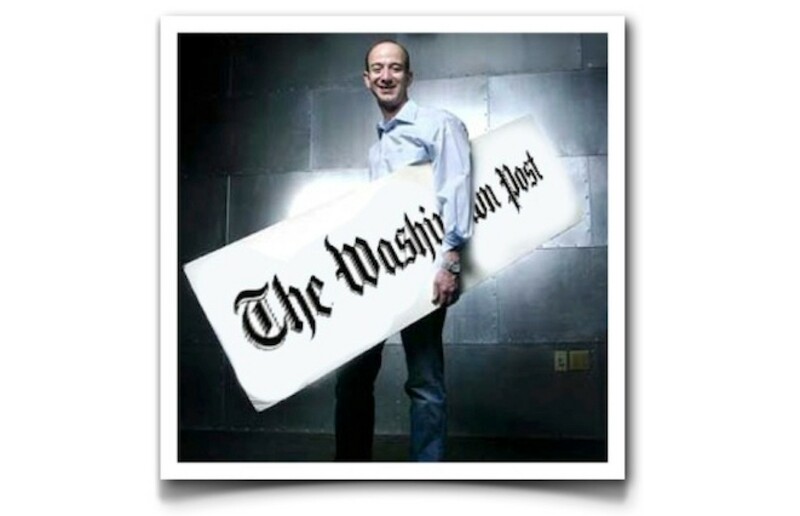 The purchase of The Washington Post, which at age 135 is the oldest extant newspaper in the United States, by Jeff Bezos, without doubt one of the best-known figures in what has come to be known as disruptive innovation, is bad news for those unable to see that journalism must adapt to changing times; but a scoop for the industry and those who work in it. Like many other sectors based on content, the changes brought by the internet have hit journalism hard. And like those other sectors, journalism faces the same problem: how to move toward “the new” when it is “the old” that supports it. The vast majority of media, print and otherwise, have made some incursions into the digital sphere while trying to protect their core business. Over time newspapers and magazines have seen how changes in the habits of their customers have drastically reduced revenue from two fundamental sources: sales of their publications at the newsstand, and advertising. They are not stupid; it isn’t that they don’t know what is going on: quite simply, there is no easy answer. Many now find themselves between a rock and a hard place. In many ways it is easier to start from scratch, although of course you then face other problems. The Washington Post is a arguably one of the finest examples of what good, great, journalism is meant to be, while at the same time it is not economically viable. Over the last year, it has lost fifty million dollars; its founders and owners have had no idea what to do to prevent this downward spiral. The majority of those complaining about the impact of technology on journalism face the same problem: they don’t practice journalism; they practice bad journalism. They make something that is no longer much in demand, but that has survived thanks largely to friction and inertia. The Washington Post is different: we are talking about a towering lighthouse, a newspaper that has broken some of the most important stories in US history: many of its front pages are part of the collective imagination of Americans, and the only newspaper able to bring down a US president; a monument to patience, to checking and rechecking facts, a newspaper that epitomizes investigative reporting. At the same time, it is a traditionally run company, a family firm whose owners have lacked the necessary skills to understand the new environment they found themselves in. There is little to say about Jeff Bezos that has not already been said: an innovator who has built an empire out of something as traditional as selling books, the person who at the height of the dot.com boom said that he didn’t mind losing money on each book he sold because by doing so he was buying an invaluable apprenticeship that would prepare him for the future. Amazon has not bought The Washington Post; Jeff Bezos has: which does not mean that the myriad possible synergies between the two companies will not be explored, but instead that the two enterprises will be managed separately. Jeff clearly understands the differentials that have made The Washington Post what it is, and has shown that he is prepared to continue supporting them by investing “patient capital” that may well mean sacrificing today’s profits for a sustainable future. When you buy something of such symbolic importance as The Washington Post, you’re not doing it to keep the business running or to make money: you’re doing it because you want to leave your mark. Making money is essential to sustainability, but it is not the main goal; rather it is a consequence of doing a series of other things well. The consequences for the media will be many and varied. Bezos’ management approach is discreet, and rarely makes waves, but everything will be subject to scrutiny. Doubtless we will see innovation, and doubtless along the lines of an article published several years ago about the need to Amazonize the news. We will see many changes, there will be much speculation about how other key media will respond, and there will be no shortage of trials and errors, which at the end of the day, is the only way to learn, because there is no pre-ordained plan or recipe for getting things right. Of all the speculation I have read about why Jeff Bezos has bought The Washington Post, the simplest reason seems the most credible: because he can. And as well as being able to, believing he can make a difference is more than enough reason for doing so. Jeff Bezos’ arrival at The Washington Post is a milestone in the history of journalism. With time, it will prove that journalism is not in crisis, and that the crisis has only affected bad journalism. It will show that the crisis that has hit journalism has been due to failing to understand a medium that Jeff Bezos has shown he can manage better than almost anybody, rather than that journalism is no longer financially viable. Which is not to say that there are no problems with Jeff Bezos’ approach to running a business: not everybody who works at Amazon is happy with its human resources model; and then there are the unsettling questions regarding the independence of a newspaper being owned by the same company whose cloud is used by the NSA, or that kicked out WikiLeaks from its servers. That said, surely the overriding issue here is Bezos’ impressive scorecard as an innovator. And innovative thinking is precisely what journalism needs right now.